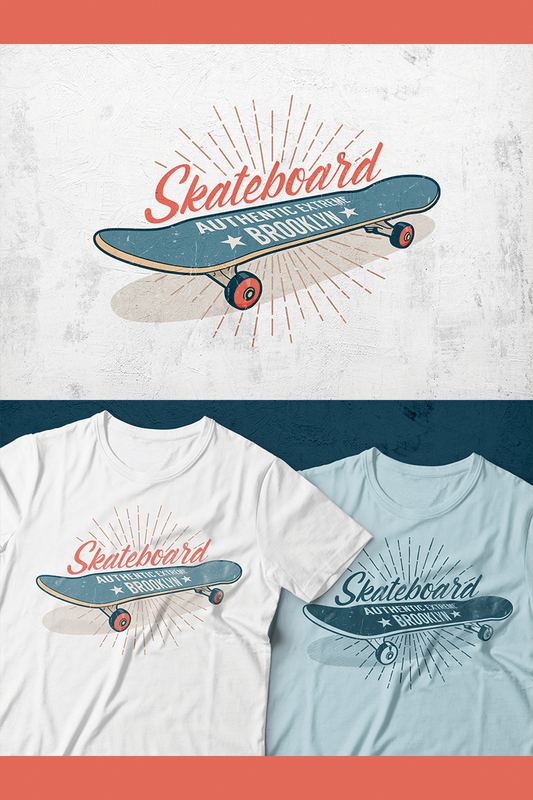 Skateboard Retro Print. Color and monchrome. Vector EPS10, JPG, PNG with transparent background, PSD layered. Links to the fonts in txt file. Text in curves. Textures and mockup shown in the preview are not included. If you think that I have something to add or fix - write to me! I hope you will be satisfied with this product! If you need help, or if you have questions, feel free to send me a message at any time!